What if my bot doesn't understand a message? 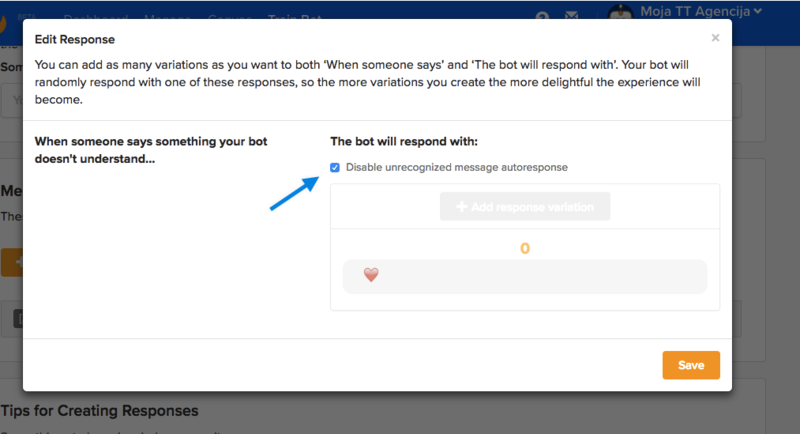 By default, if your bot doesn't understand a message, it won't reply to it. 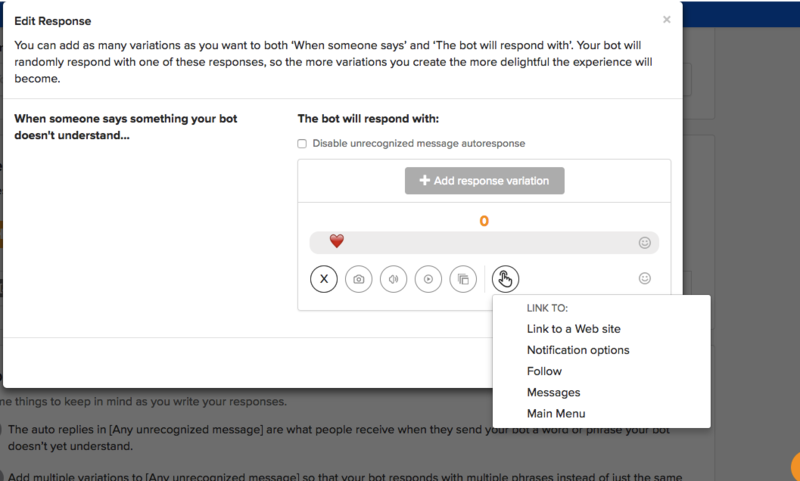 If you wish to add a custom reply for those messages, go to the Customers >Trained responses section, click on "Any Unrecognized Message"
Simply add your response or a few responses the bot will choose between. These will be sent to your followers when the bot doesn't understand a message. In these response variations, you can also add images, audio, video, carousel, an external link or link to your features.